M.2 SSDs were developed to replace the mSATA form factor, however these devices are still in their infancy and the demand for mSATA SSD still exists. mSATA SSDs are mainly deployed in mobile devices such as tablets, laptops, and Ultrabooks because they allow for lighter and thinner designs. Their high performance, small foot print, and low power consumption make them the perfect fit for these devices over standard 2.5″ HDDs. Over the next few years the production of client tablets and notebook PCs will be doubling by OEMs. Micron has taken notice of this and has just released their M600 line of SSDs as a solution. 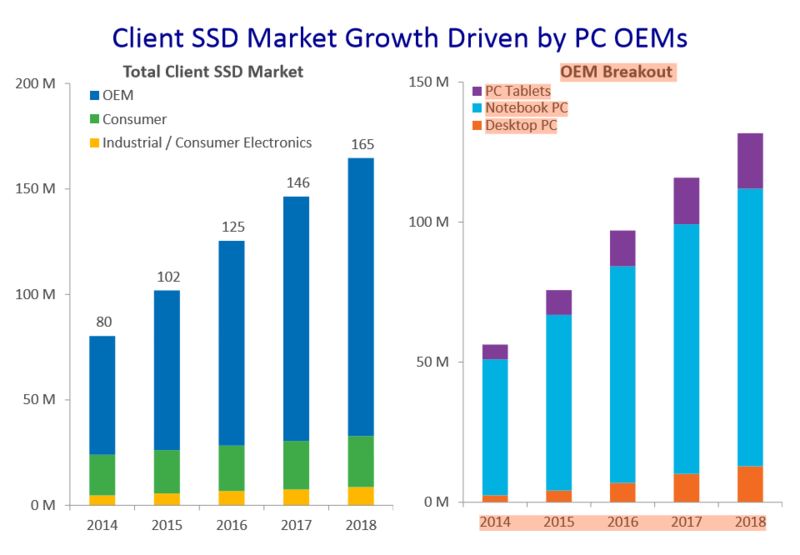 Offering a multiple varieties of compact, reliable, and high performance SSDs will allow companies, such as Micron, greater growth in the industry. Last week we went over both the 2.5″ 7mm and M.2 form factor M600 SSDs. Today, we will draw the saga to a close with our very last form factor for review, the mSATA model. The M600 family offer many of the same features their earlier client SSDs had. They have DevSleep support, RAIN reliability technology, adaptive thermal monitoring, and power-loss protection for data at rest. OEMs have the option to purchase drives that feature self-encryption and drives that do not. Drives that are SED have AES 256-bit hardware encryption form the built in controller encryption engine and is TCG Opal 2.0 and IEEE1667 complainant to support Windows eDrive. M600 SSDs are not sold to typical retail outlets, they are sold to OEMs, businesses, and system builders through Micron’s distribution network. After a quick look on Avnet, current prices for the 128GB, 256GB, and 512GB models are ~$107, ~$200, ~$366 respectively. Furthermore, performance for the M600 family is essentially the same across the board. Sequential reads are rated at 560MB/s and writes are rated for up to 510MB/s for the 256GB and 512GB models. The 128GB models are rated for up to 410MB/s sequential write. Random IOPS are rated at 100K for read in the 256GB and 512GB capacities while the 128GB model is rated for 90K read IOPS. And for random writes, they are all rated for 88K IOPS. Not only are their speeds impressive, but their endurance rating has been improved as well. Typically Micron rates their client based SSDs endurance at 72TB total bytes written. With the M600 family they are rated for much more. The 128GB models are rated at 100TB, the 256GB models are rated at 200TB, and the 512GB models are rated for up to 300TB. This jump in performance and endurance stem from their latest advancement in NAND flash programing, their dynamic write acceleration. Dynamic write acceleration takes advantages of Micron’s latest NAND’s ability to operate in either MLC or SLC mode on the fly and creates a dynamic SLC storage pool based on the drive’s current workload and free space. The capacity of accelerated NAND is typically much higher than competing static SLC cache technologies. Once a write workload is finished and the drive is in idle, the drive will then migrate the data from the SLC pool to MLC operating NAND. This features allows for write performance that can be up to 2.8 times higher than non-accelerated operations. It is a great solution for typical client systems as most client workloads have small write bursts and plenty of idle time in between. The M600 also benefits from dynamic write acceleration though lowered power consumption. The drive’s average power draw is rated at 150mW and idle is rated for 100mW when AHCI link power management is enabled. When the drives are in DevSleep, they are rated for less than 2mW power draw. And finally, if need arises for an RMA, the M600 family is covered by a three year warranty. Packaging for the M600 drives is very minimal as these will be sold in large quantities to OEMs and system builders. The box is a plain white with the drive enclosed in an antistatic pouch. On the front we can see the drive has the label with the drive’s firmware, capacity, and denotation that this is a SED model. Under the sticker we can start to see there are two NAND packages and a DRAM chip and controller. On the back side we can see the power protection circuit on the bottom right and two NAND packages. The controller is again, the Marvell 88SS9189-BLD2 controller we have seen on the other M600 form factors. It is an eight channel controller with a 6Gb/s SATA interface that allows for the 256-bit AES hardware encryption and improved DevSleep features over the 88SS9187 controller. By using the Micron FBGA Decoder, we can identify the NAND product number for this 256GB drive as being MT29F512G08CKCCBH7-10:C, the same product number as the NAND in the 1TB 2.5″ 7mm variant. The NAND is their 16nm MLC NAND flash memory with each package being 64GB in capacity. The usable storage space is 238GB once formatted. The Micron DRAM chip is also the same as the one used in the other M600 form factors. It is 256MB of LPDDR2 that runs at 533MHz. is there is a source for this?